KARLOVY VARY, Czech Republic – Czech filmmaker Jan Sverak, whose “Kolya” won the 1997 Oscar for best foreign language film, has created a little gem with his latest, “Kooky”, which combines puppetry with animation and live action. Conjured from the imagination of a little boy with asthma, it tells of what happens when a favorite teddy bear named Kooky is thrown into the trash and condemned to the local dump. 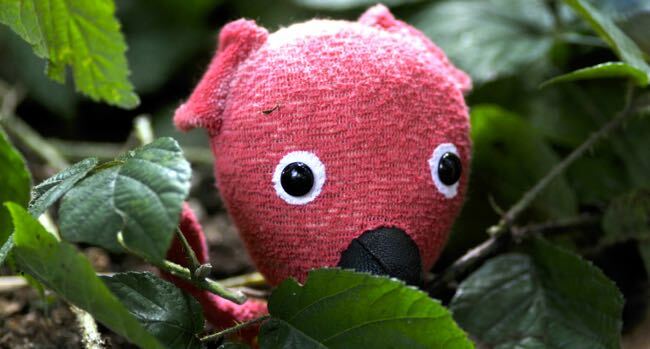 Miniature but phantasmagorical creatures of the forest befriend the pink cuddly toy as the boy imagines Kooky making a flight for freedom and returning to his side. Filled with extraordinary images created with verve and wit, and rendered with enormous charm, the film will bring great pleasure to family audiences just as it is. Before international release, however, it is to get a new English-language voice cast with new jokes to enhance the Czech references. With a broader sensibility, it could become a worldwide family hit. “Kooky” doesn’t aim to punch machismo buttons in the manner of “Toy Story 3,” which had grown men in tears recalling their swaggering boyhood action figures, but it does appeal to grownup nostalgia as well as to the young. “Kooky” is just a moldy old teddy bear but young Ondra loves him just the same. When his mother buys him a new doll and insists that the dusty bear is bad for his breathing, it ends up deep in piles of rubbish and Ondra’s vivid imagination takes over. Among Sverak’s many accomplishments in the film is that he always makes sure to remind the audience that this is the child’s view of things. The freedom that gives the filmmaker and his talented team of craftspeople is fresh and creatively liberating. As soon as Kooky springs to life in the boy’s mind, we are there with the doll in the trash and when he bolts for the fence, suddenly the plastic bags that turn into ferocious gatekeepers and pursuers become sinister and frightening. Dashing for the trees, the puppet encounters the kind of weird and wonderful beasties that could only exist in the mind of a small boy. Captain Goddam is an odd looking rodent-like character who, as the Guardian, runs the bit of undergrowth where Kooky ends up. Turns out the Captain has a rival for power in the villainous Nushka, who enlists the Bagmen to help capture Kooky and demonstrate that the Guardian has lost his authority. Terrific action ensues with wild chases involving wacky automobiles that turn the outdoors into winter the faster they go. Michal Novinsky’s agile score embraces the film’s fertile invention and adds to its pleasure. It could all get a bit goofy but Sverak has total command of his environment and by combining real and animated creatures in the extraordinary cinematography of Vladimir Smutny and Mark Bliss he makes it thoroughly captivating. Venue: Karlovy Vary International Film Festival, Official Competition; Cast: Oldrich Kaiser, Ondrej Sverak, Kristyna Fuitova-Novakova, Filip Capka; Director, writer: Jan Sverak; Producers: Jan Sverak, Eric Abraham; Directors of photography: Vladimir Smutny, Mark Bliss; Production designer: Jakub Dvorsky; Music: Michal Novinski; Editor: Alois Fisarek; Sales: Fandango Portobello Sales; Not rated; running time, 95 minutes. This entry was posted in Film, Karlovy Vary International Film Festival, Reviews and tagged 'Kooky', Jan Sverak, Karlovy Vary International Film Festival. Bookmark the permalink.